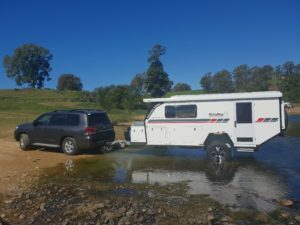 Built tough to withstand the harshest environments these off road hybrid campers are tough enough to take you off the beaten track and traverse even the trickiest terrains. Allowing you to explore the pristine hinterland surrounding the Sunshine Coast such as Kenilworth, Woodford or Yandina, often getting you to areas shared only with the local flora and fauna. 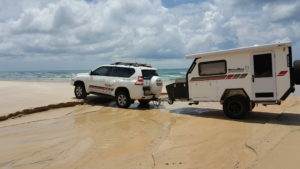 These campers have been put through their paces all over Australia. 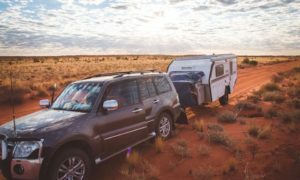 Whether it be the dirt roads of the Simpson Desert, the rough corrugations between Chambers and Finke or the stunning Bloomfield track in Daintree up North they’ve had just about everything you could imagine thrown at them and more. Whether you’re camping solo, a couple or taking the whole family, just looking to get away for the weekend or the whole week, staying local or wanting to see the entire country, there’s a Rhinomax hybrid that will get you there.